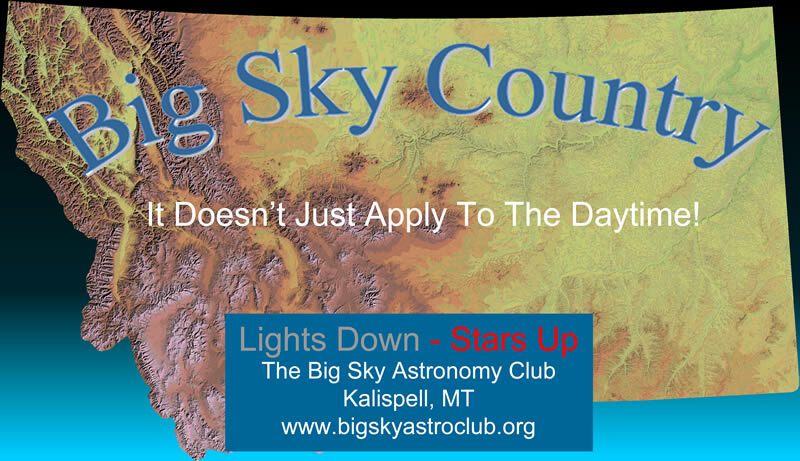 For several years, the Big Sky Astronomy Club has been actively involved in the fight against light pollution in the Flathead Valley. Our initial efforts included public recognition of local businesses and organaizations that installed dark-sky friendly lighting. Over a six year period, through an awards program that garnered a fair amount of media attention, the Big Sky Astronomy Club recognized at least six local buisiness as well as the North Flathead Yacht Club for their efforts to reduce light pollution in the Flathead Valley. 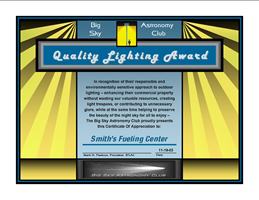 Below are a couple of examples of the awards that the BSAC presented along with images of the types of quality lighting that were installed. Click on either set of thumbnails to view larger images and a detailed explanation. 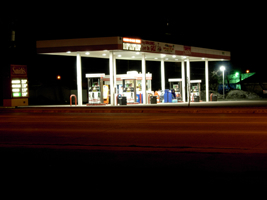 The battle against light pollution in our state has gained momentum with the adoption of strict lighting ordinances in most of Montana's cities. The cities of Billings, Bozeman, Missoula, Kalispell and Whitefish have all adopted outdoor lighting regulations that, over time, should reduce the amount of light pollution significantly. 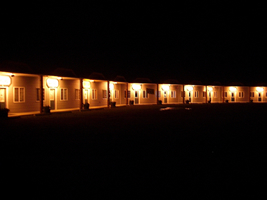 A bill was introduced in the 2009 Montana State legislative session that would have required (with some exceptions) outdoor lighting fixtures to be fully or partially shielded. Unfortunately, the bill never made it to second reading and died in committee. No bill of this nature was introduced during the 2011 legislative session, but efforts will be made to introduce a similar, if not stronger bill during the 2013 legislative session.